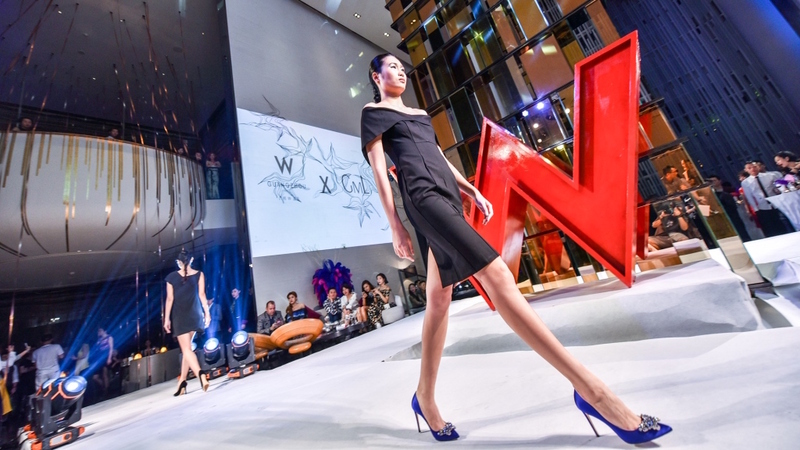 In the world of Chinese fashion, it’s all about standing out, looking towards the future and spotting trends before they break. 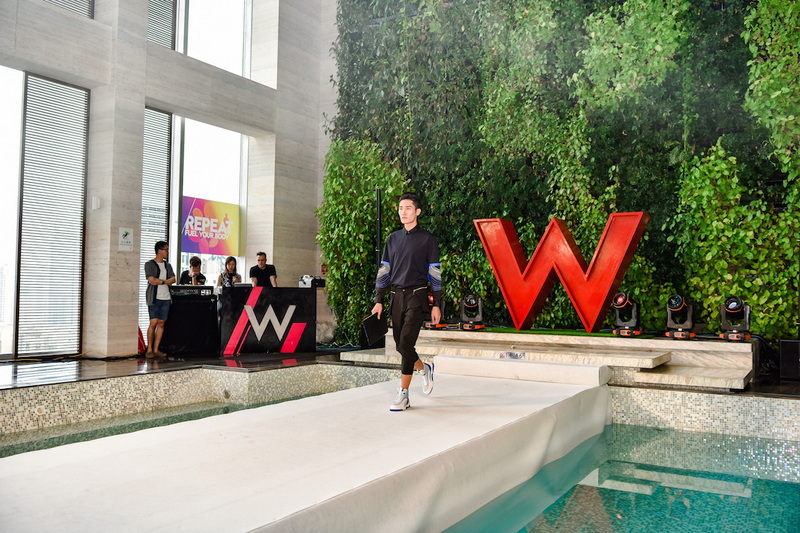 From street infused athletic wear to avante garde couture, funky beach gear to stunning wedding wardrobes, the looks walking down the runway at W Beijing and W Guangzhou’s emerging designer fashion shows weren’t only strutting the new and next, they’re projecting the future of fashion. 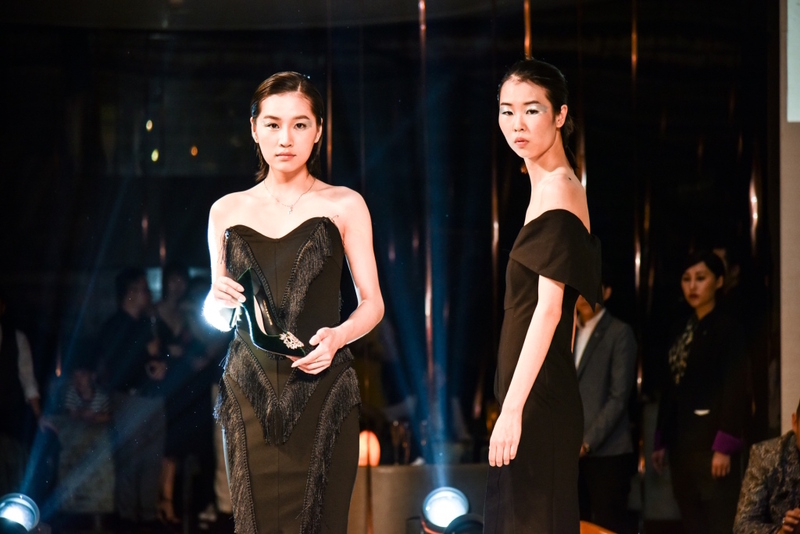 We talked with seven of China’s hottest emerging designers that showed at W to find out the inspiration behind their collections, their predictions for the next hot trends, and their tips for how to wear the runway and always stay ahead of the curve. 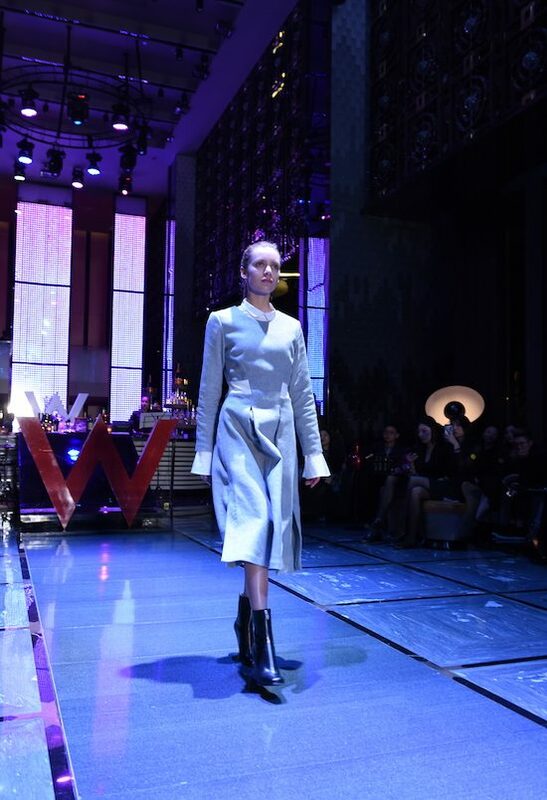 About the collection at W Beijing: This series showcased the psychological activity of urban white-collar workers. 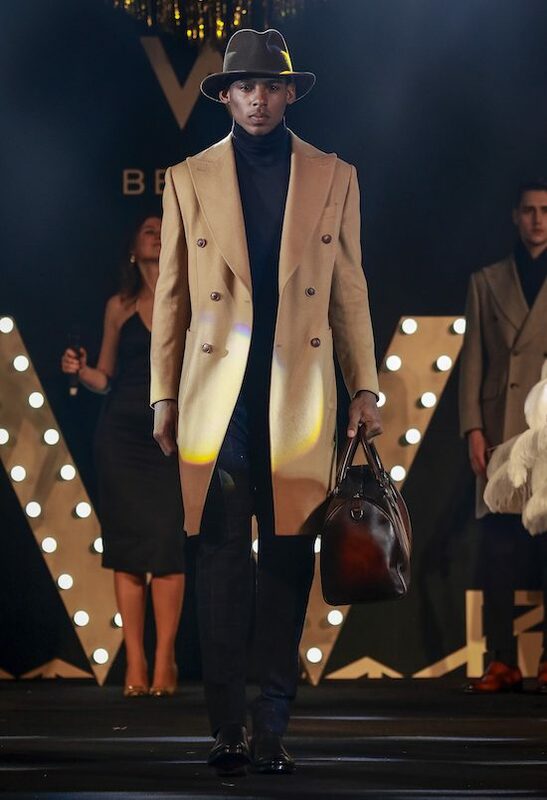 It is special because of the balance of vintage and modern design, focusing on the shirt collar, suits and coats to create a bold and simple style. 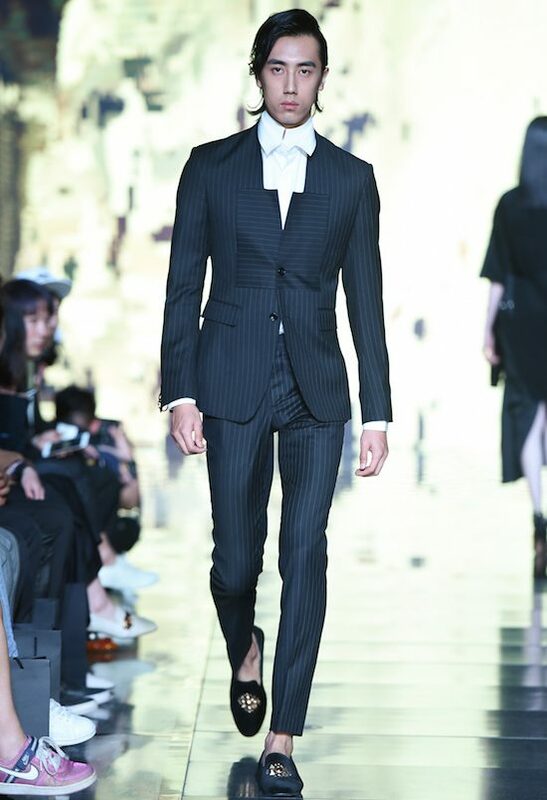 Signature design: The collar is the essence of a piece of clothing. 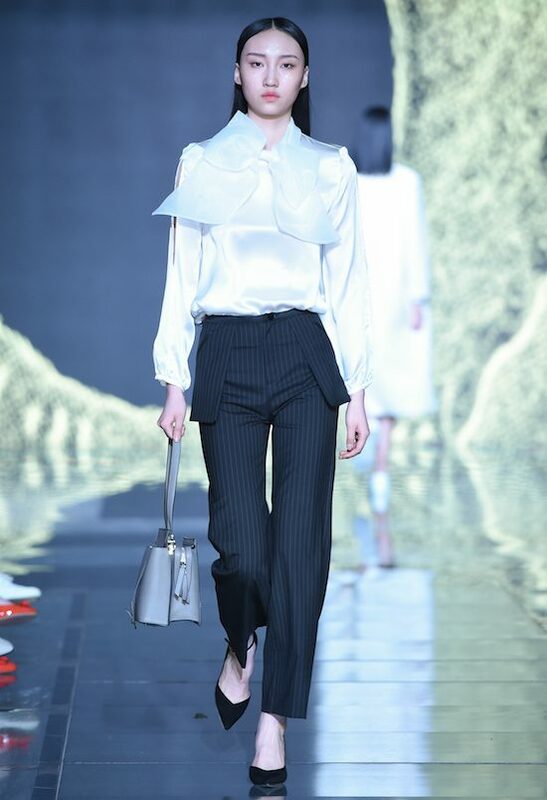 Lord’s Collar adopts traditional Chinese artwork like cloudy shoulders, which are a symbol of oriental philosophy. 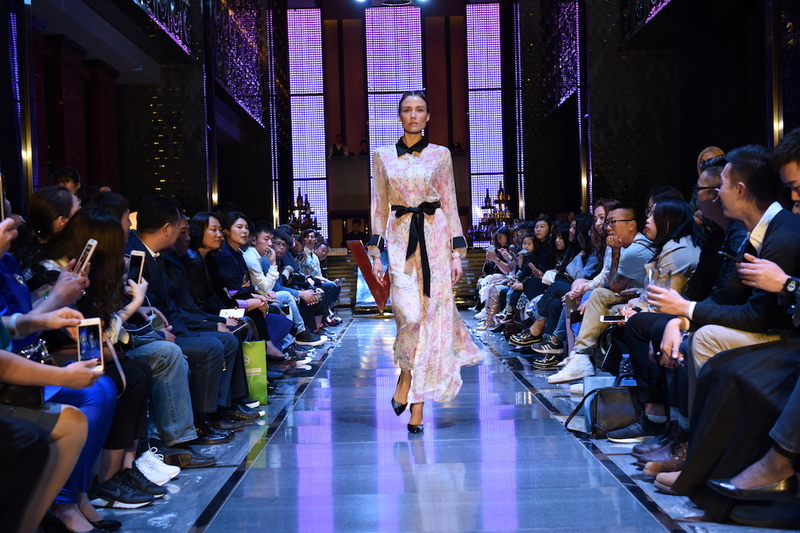 On trend now: Chinese binding, silk spinning, embroidery, and knotted buttons on dresses have become famous with lots of room for modification, layering western and eastern cultures. 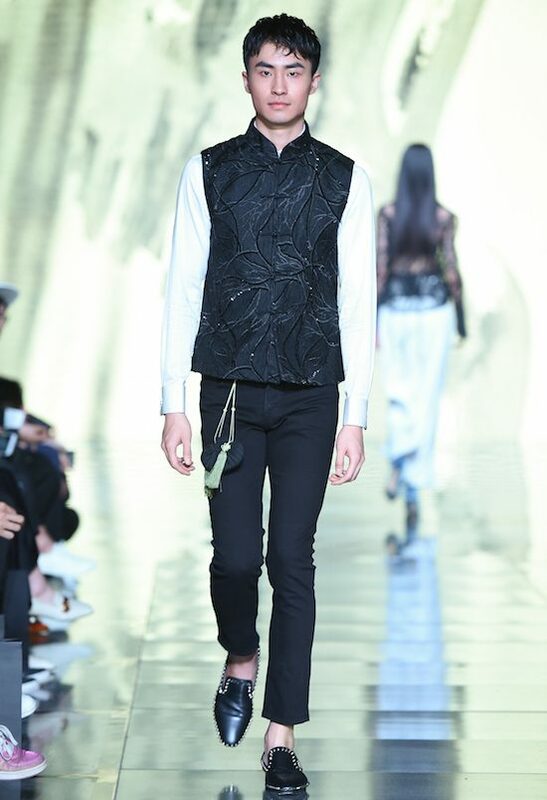 How to wear it: Include small elements of Chinese symbolism for a worldly look. 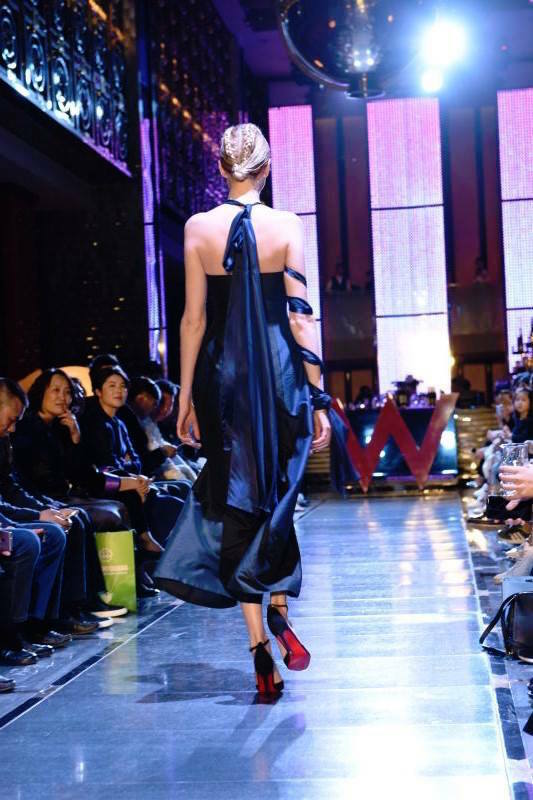 About the collection at W Guangzhou: We are not showing shoes. We are showing a kind of woman who is always sticking to what she believes. Signature design: It’s not designing that distinguishes the shoes. That’s not my purpose. What we are doing is pouring feelings into shoes, making shoes that want to find their masters. 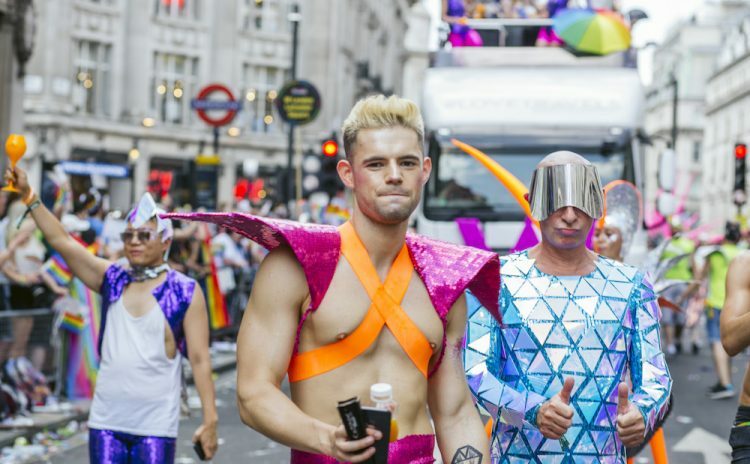 On trend now: Being yourself. How to wear it: Just be comfortable! 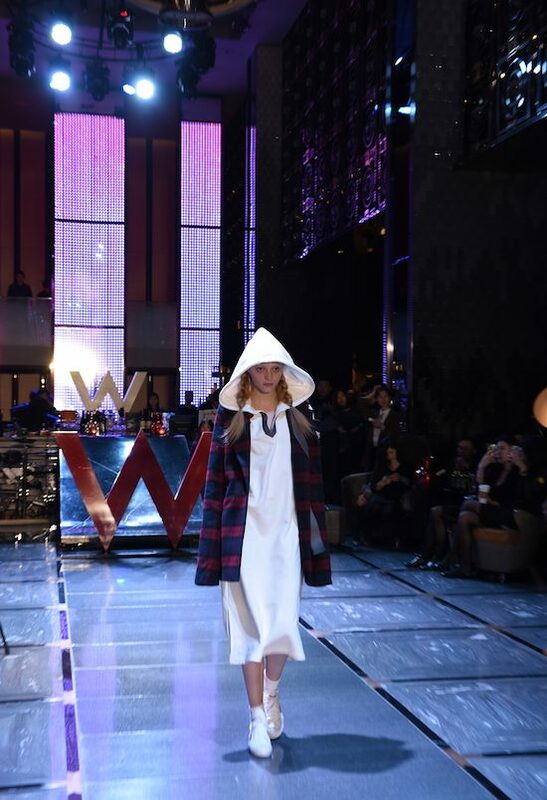 About the collection at W Beijing: This fashion show was named “Insignificant,” but I believe there is no such thing. Everything in this world has its meaning. This series has its own angle and its own power with both stability and tranquillity. Signature design: The use of accessories in each piece of clothing is essential, but the invisible zipper and dark buckle are signatures in each garment. 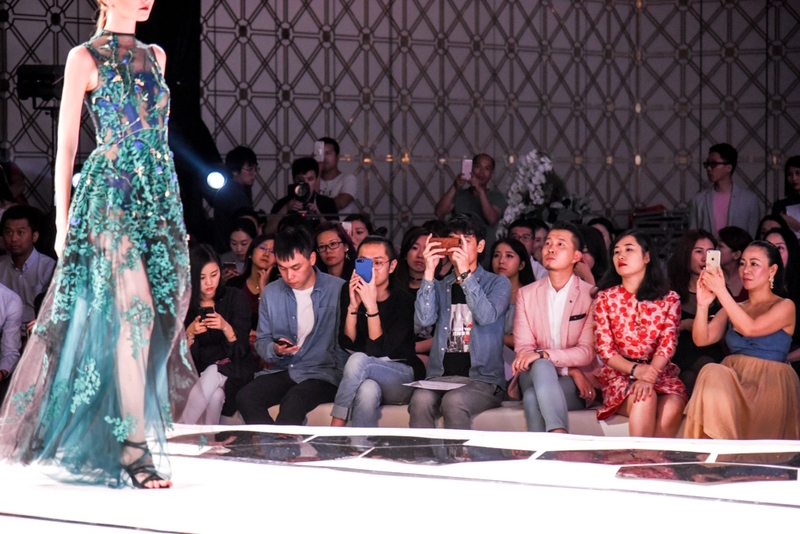 On trend now: Auspicious Dragon, Cheongsam, embroidery, and the blue and white porcelain decorative pattern are all becoming a fascination on the runway. How to wear it: Learn from history and absorb knowledge of what you are wearing. These looks don’t come from no where. Embrace the original inspiration and find the story. 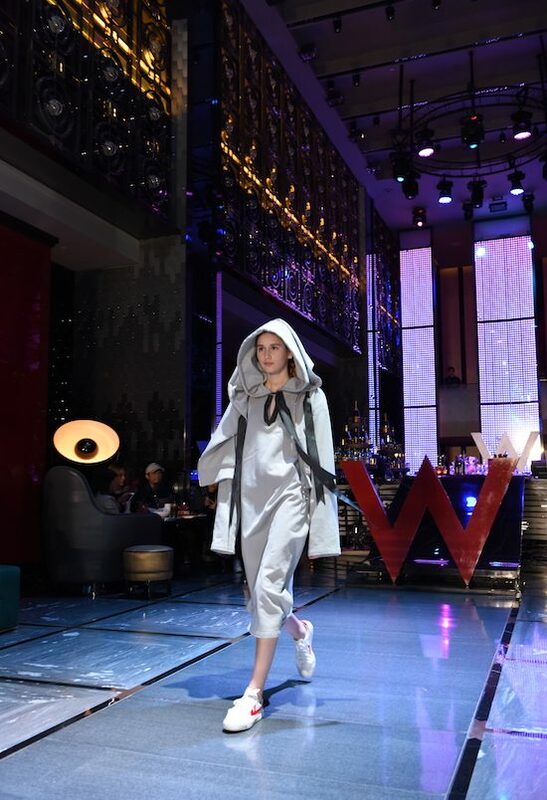 About the collection at W Guangzhou: Feminine fabrics, art, crafts and a powerful combination of folded crepe, translucent material and structural designs that combine for collision and harmony. 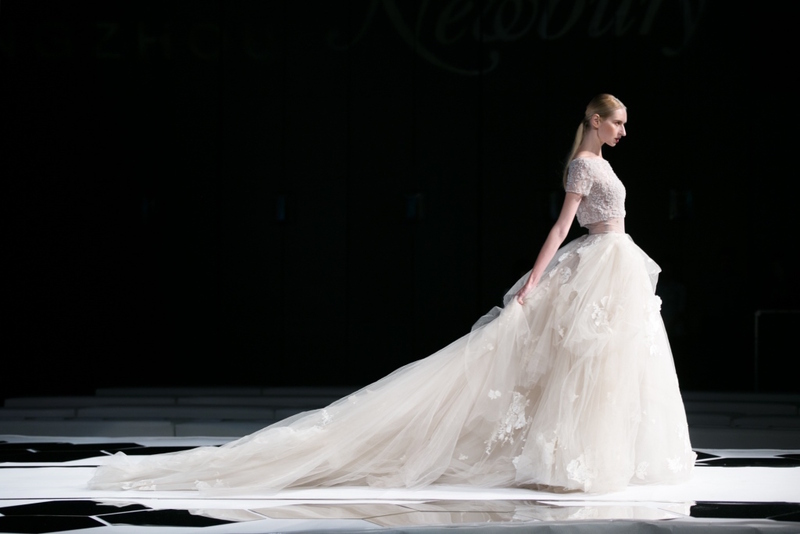 Signature design: Many of the designs are ethereal and elegant, inspired by female movie stars during the 20’s – 60’s. We appreciate the attitude of women in that era to pursue beauty in a self-contained and precise way. 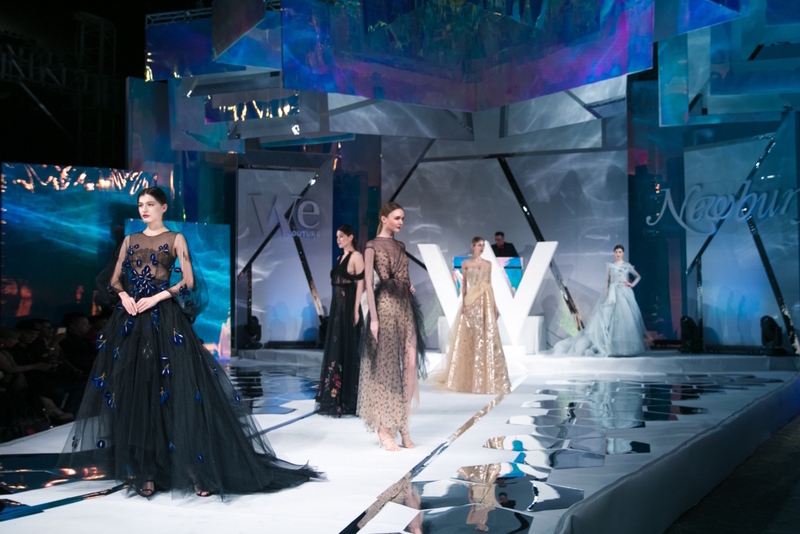 China’s hottest trend: Elegantly designed style. How to wear it: Read fashion magazines and turn this knowledge into your own unique look. 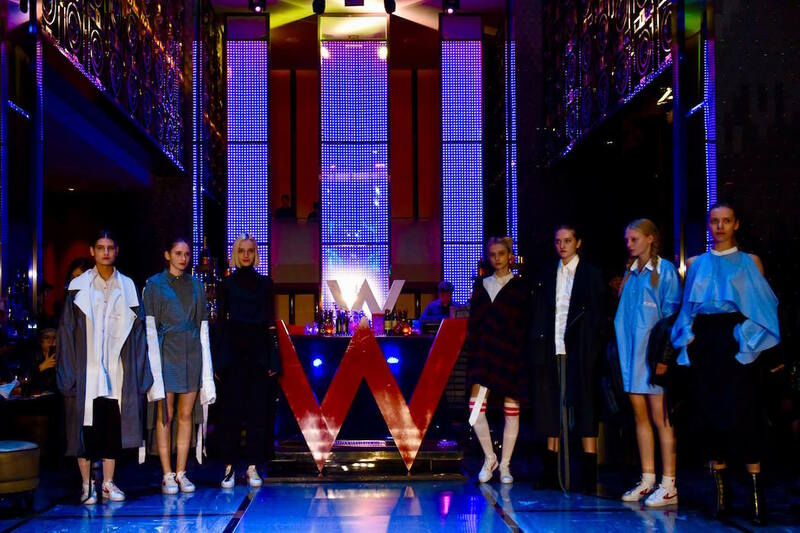 About the collection at W Beijing: The concept focuses on 90’s private high school style in Beverly Hills and dealing with popularity. 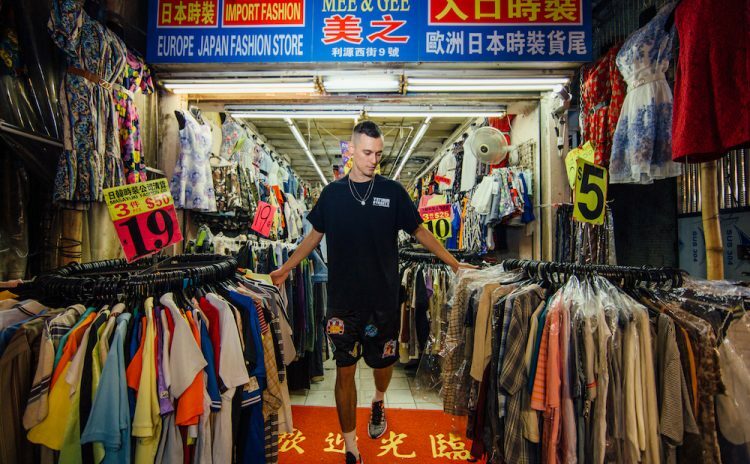 Signature design: We use bold colors and unique cuts to make the clothes stand out in crowds. 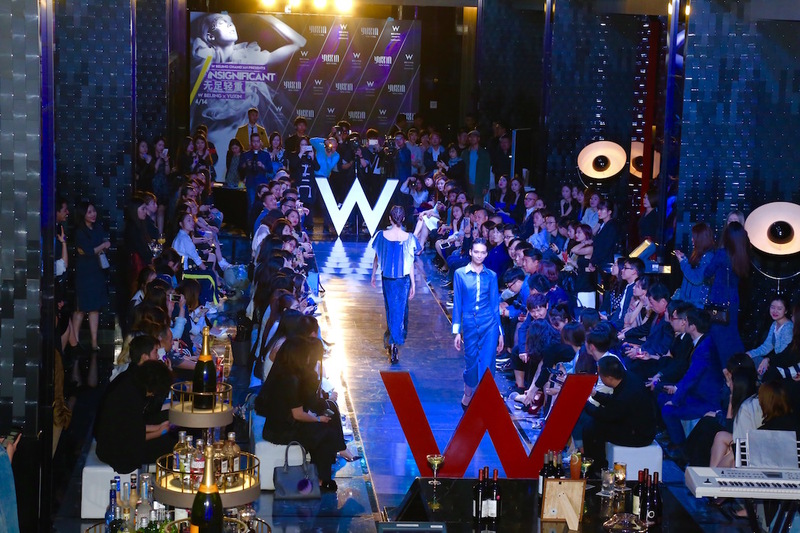 China’s hottest trend: “Little Fresh” style has become extremely popular with young generations. Over-sized coats, candy colors, a long sweater and a pair of casual jeans will make you look cute and delicate. 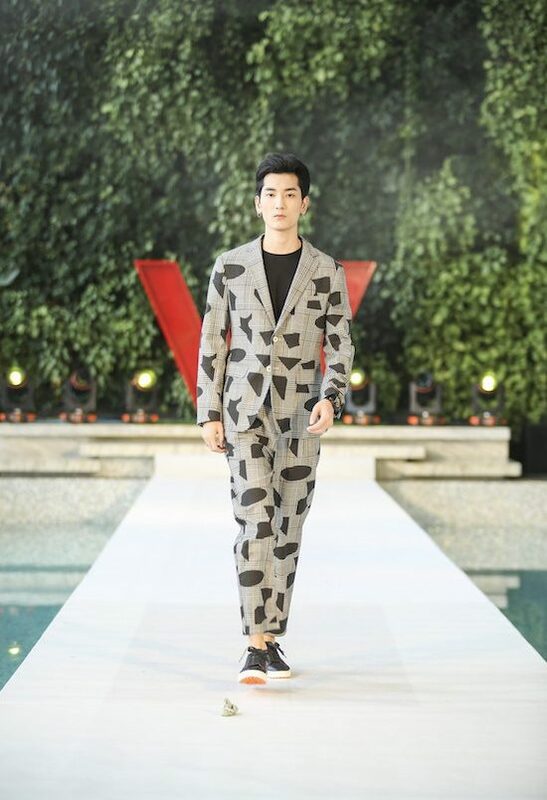 How to wear it: Wear one distinguishing design as a focus and you’ll stand out as an individual no matter where you go. 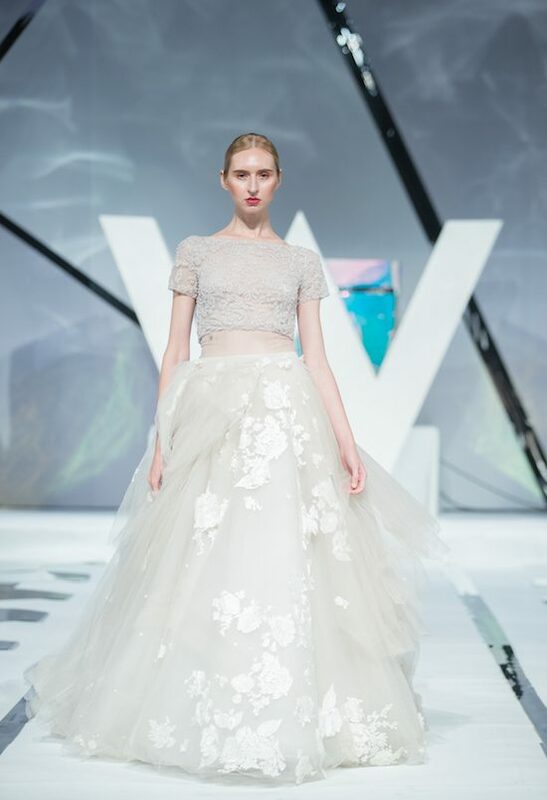 About the collection at W Beijing: We want to express that a gentlemen’s attire on his wedding day can be both reserved and lively. 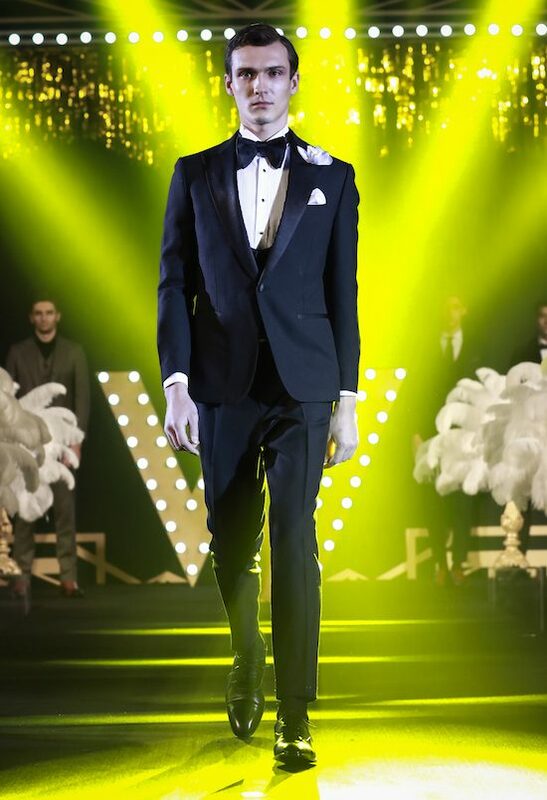 Signature design: Mr. Dandy’s designs chase the most capable style and restore the original charisma of suits. 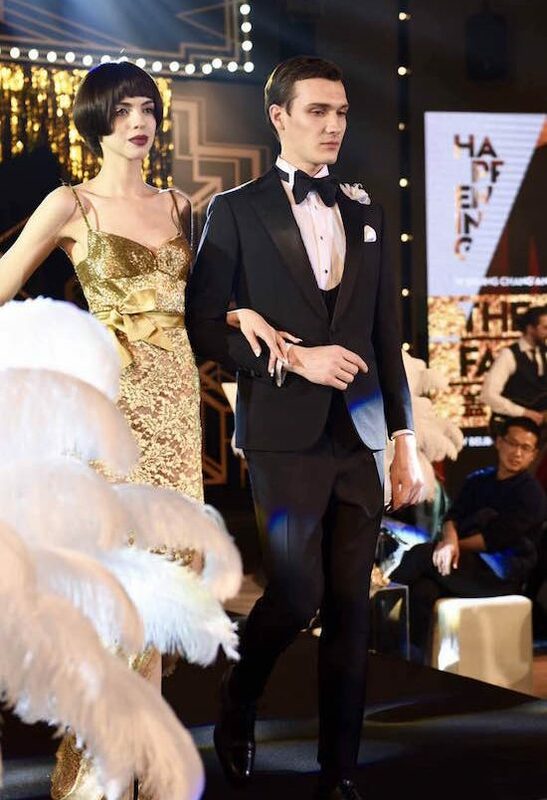 China’s hottest trend: With the release of movie Kingsman, the typical super elegant British suit has attracted more and more fans. 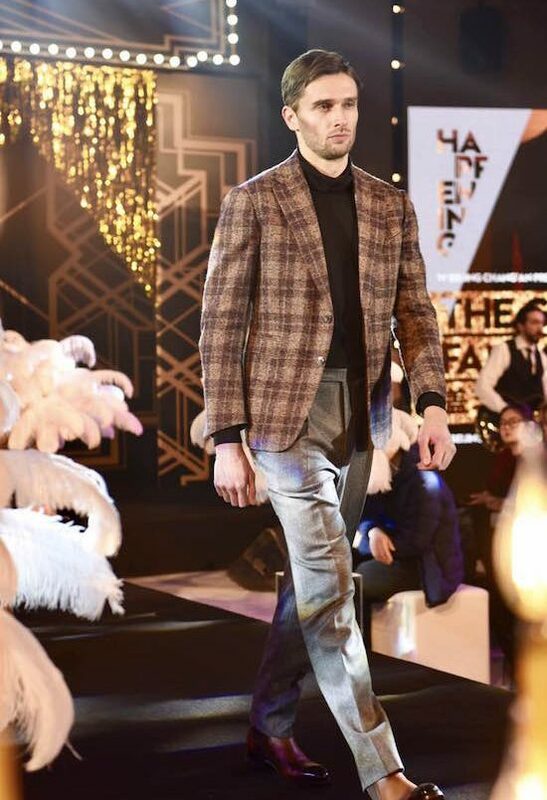 The most common look is a blazer suit top and Scottish woollen pants, grey suit pants or the classic chino pants. 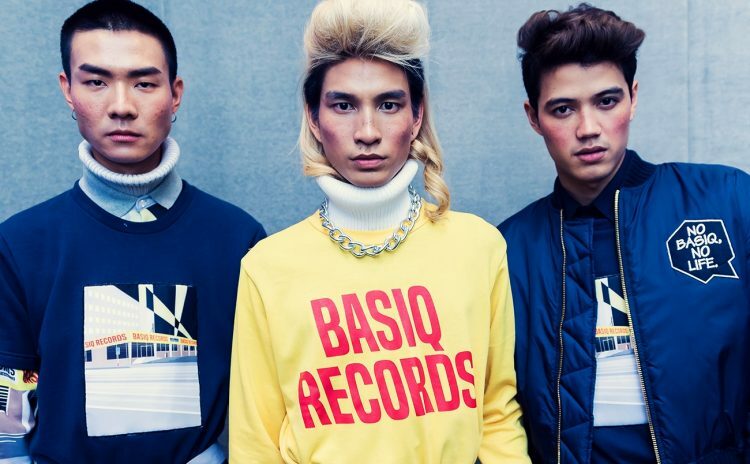 How to wear it: Combine Western culture and Chinese culture, and turn the British model into Chinese dressing habits. It brings out gentility and nobility. 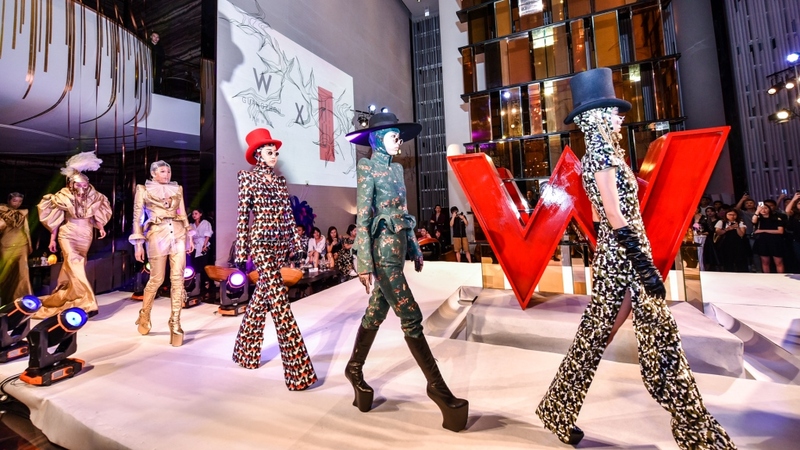 About the collection at W Guangzhou: We integrated futuristic concepts into ready to wear street fashion to create a new look called “Fu” aka fusion. Signature design: It’s all about a combination of styles for the “Fu” series. 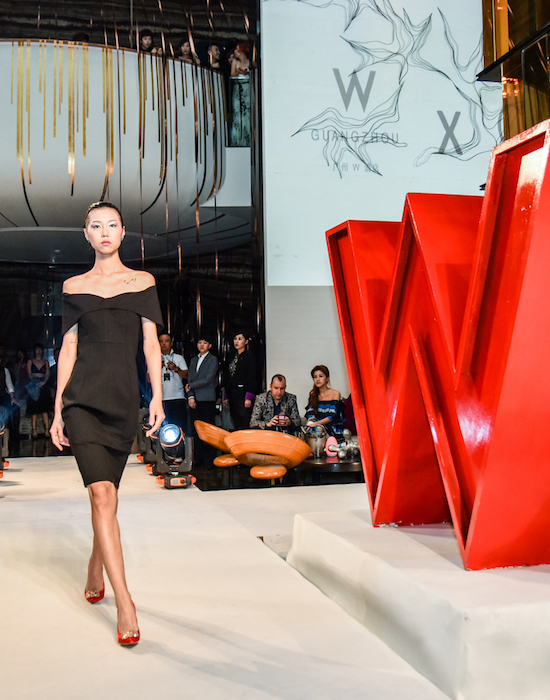 China’s hottest trend: Representing different types of beauty on the runway. 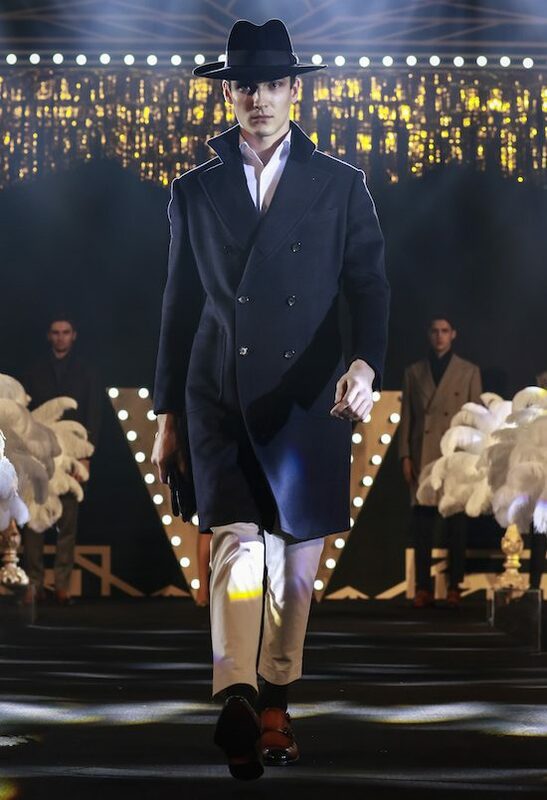 How to wear it: Confidence!